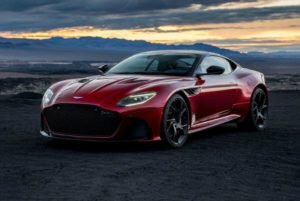 Aston Martin greeted 2019 Aston Martin DBS Superleggera, the V12 grand-tourer of the flagship based on the outgoing DB11 V12. 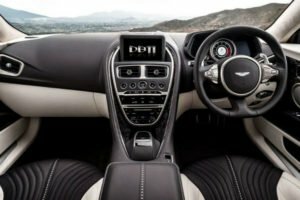 The conversion that distinguishes you from the 2019 Aston Martin DB11 line and uses the Aston Martin DBS ad name from on real DBS and DB9-hosted for DBS V12. The name of the Superleggera honors Carrozzeria Touring Superleggera, which helped Aston Martin to build the largest tourers in the 1960s and 1970s. The Aston Martin DBS Superleggera previously shows in the new box with a large institution grille to repair the engine and extractors in the community on the sides of the brake breaker and two vents in the hood operating in the engine cooling process. DBS Superleggera has a new transmission of ZF 8HP95 at the final short 2.93: 1, unlike DB11 2.70: 1. Chassis-wise also comes with a torque vectoring and a slip mechanical slip differential. track-focused operation. 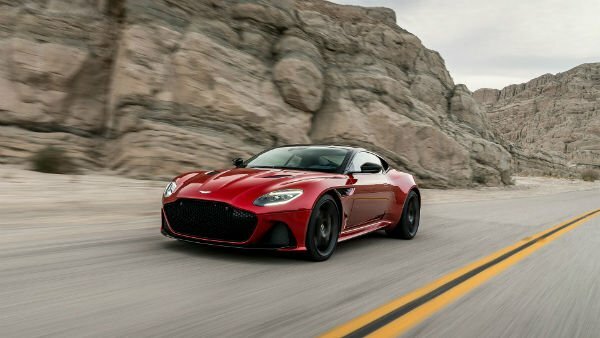 The Aston Martin DBS Superleggera 2019 also has the same aerodynamics seen first in the DB11 as well as the new Aer Martin Aeroblade system but purifies double-diffuser-inspired F1-aerodynamics to help the car generate 397 lb -downforce – the highest number ever created in the production of Aston Martin series. The new quad-pipe for power-resistant titanium ensures the sound of the engine when the use of carbon fiber in large car parts decreases by weight of 1,693 kg (3,732 lb). 2019 Aston Martin Superleggera V12-twin-turbocharged 5.2 liters is raised and produces 725 PS (533 kW; 715 hp) 6,500 rpm and 900 Nm (664 lb-ft) per minute from 1,800-5,000 rpm. In order to increase weight loss and mass distribution center, V12 is the lowest unit and is back to the chassis as much as possible. The 2019 DBS Superleggera can accelerate from 0-60 mph (0-97 km / h) in 3.2 seconds, and 0-100 mph (0-161 km / h) in 6.4 seconds. The car can also be rated from 50-100 mph (80-161 km / h) in 4.2 seconds in the fourth part and can reach a maximum of 211 mph (340 km / h). Three driving are available: GT, Sport, and 2019 Aston Martin DBS Superleggera Plus vehicle response.